My partner at the collaborative station is very cantankerous. I don’t think that we’ll get our work done on time. Sometimes people can be very cantankerous. Hi Summer! 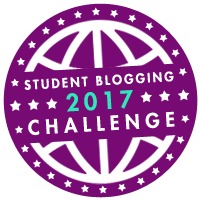 I’m your mentor, Darcy, for the October blogging challenge. I love your blog so far. It looks very cool and I can tell you put a lot of time and effort into working on it. I look forward to reading more of your posts throughout the school year. My name is Mrs Morris and I’m a teacher in Victoria, Australia. I also work for Edublogs. I’ve recently written a guide for teachers with 100+ ideas for student bloggers. I used a few examples from your blog and your classmates’ blogs. I have thoroughly enjoyed reading your blog and your enthusiasm certainly shows! I hope you will continue blogging as you are a role model for others. Here is the link if you want to check out the article. You can search for your name (control F if you’re on a computer, then type in Summer). your blog is really pretty and I can tell you put a lot of thought into it. I love that you do adjectives of the month- that’s so cool. Last year cantankerous was one of my vocabulary words, so it is cool that you found this word too. 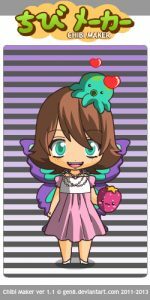 Hi Summer, it is Elise and I really enjoy your avatar by the way and also I like the way you left examples for this wonderful word, and how you found it in one of your replies in the comments.